Microsoft continues the trend they established over the past months which consists of not just consolidating their software products and services on non-Windows platforms, but also adding new ones. It looks like the strategy adopted by the company to achieve this goal is to buy companies behind app that are already popular. 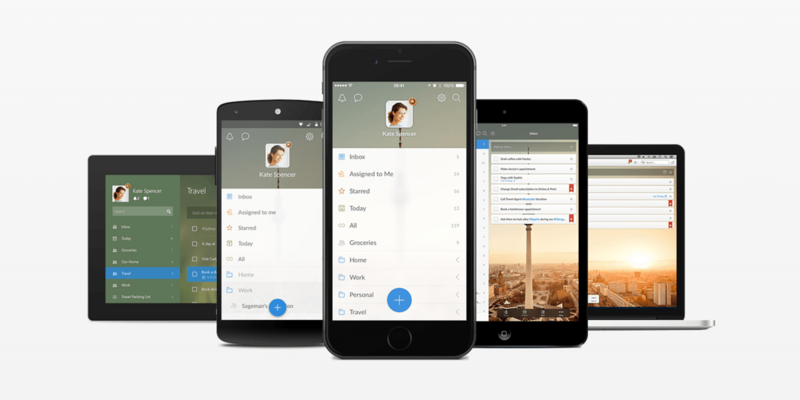 After purchasing Acompli which was transformed into Outlook for Android and iOS, Redmond acquired the calendar app Sunrise and reports say they’ve already struck a deal with 6 Wunderkinder, the company behind the Wunderlist to-do app. According to a Wall Street Journal report, the price of the startup is somewhere between $100 million and $200 million. The report says this news comes from ‘a person familiar with the matter’ and that the deal is yet to be completed. There’s no official confirmation yet, in fact Wunderlist declined to comment on the matter. Just a few weeks ago Sunrise Calendar apps have been updated with Wunderlist integration, and this is hardly a coincidence. This points out Microsoft was already a close partner with 6 Wunderkinder and may have been planning this move for a while. While Sunrise Calendar has remained pretty much an independent app, Acompli was quickly swallowed by Outlook and it remains to be seen what Microsoft has in store for Wunderlist. Follow us on Pinterest, Google+, Facebook and Twitter to receive our latest apps & game reviews, news, tips and how tos for Android, iOS and Windows Phone. You’re also welcome to join the Pocketmeta forums for some more mobile related talk!